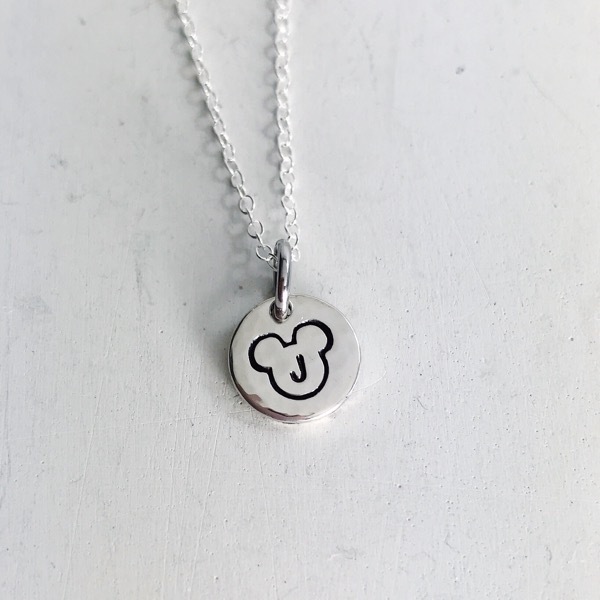 Handstamped 3/8" sterling silver discs that your favorite letter(s) stamped inside your favorite mouse silhouette. Each pendant may be stamped with one (1) letter. Sterling silver chain included in 16", 18" or 20". Longer chain lengths available. Please contact me if you need help planning your custom necklace.